The company is switching from the Rift to the GO for their many training academies across the nation. Major entities in the automotive and medical industries have found ways to utilize virtual reality and retail giants have dabbled a bit with VR as well. 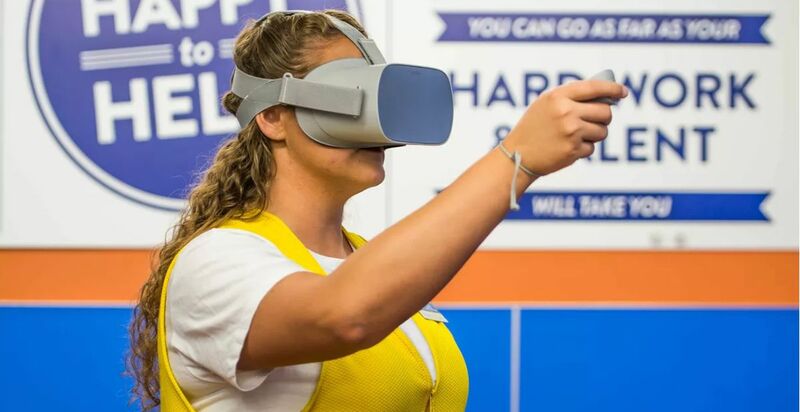 Walmart has already started a VR-based training program and is now putting 17,000 VR HMDs in US stores to enhance that program. As reported by The Verge, Walmart's current program used Strivr for its VR training centers. Via 45 modules, it simulates events like a Black Friday shopping rush and teaches employees how to use other pieces of technology. The training academy previously used the PC-tethered Oculus Rift, by will now move forward with the wireless Oculus Go. For the short term, this is an incredible boost for Oculus. Beyond that, this serves as just another example of VR finding a home in industries beyond entertainment. Stay tuned to Shacknews for additional updates.